Cover of Vijay Iyer Sextet album "Far From Over"
This review is being undertaken in the days immediately following President Donald Trump’s notorious press conference of Aug. 15, when he stated that there was “blame on both sides” for the violence in Charlottesville, Va. That the moral distinction between members of hate groups and those protesting hatred is lost on our current president imparts poignancy to this album’s backstory. Vijay Iyer first presented Far From Over as a suite-in-progress at the Chicago Jazz Festival in 2008. It was a moment when Barack Obama’s election was imminent and hope prevailed. But the finished suite was not recorded until April 2017, four months into the Trump presidency, when hope had been dashed. A project that began in faith—in Chicago Iyer said he looked forward to the work of attaining “justice and equality” in America—was completed in a spirit of protest. Iyer has said that there is “resistance” and “defiance” in this music now. Iyer is one of the most decorated musicians in jazz. His technical erudition and facility are beyond question, but he is not for everyone. His music, in its precise, rapid execution of complexity, can sound more mathematical and austere than lyrical and personal. Far From Over plays to his strengths. With elite players around him, he can focus on creating ferocious protean energy (he is one of the most rhythmically centered and rhythmically gifted of pianists) and let his sidemen provide passionate responses to the form and content of each composition. The band is alto saxophonist Steve Lehman, tenor saxophonist Mark Shim, cornetist Graham Haynes, bassist Stephan Crump and drummer Tyshawn Sorey. Far From Over is more emotionally complicated, more nuanced, than a protest concept album. There is yearning in this music, and compassion. On “Poles,” the opening track, thoughtful piano is overtaken by the jolting, careening ensemble. Shim’s hoarse cries are acts of rebellion. But Haynes, in drawn-out calls, steps back for a longer view. With its many inner moving parts and intense counterpoint, “Poles” reflects such values as group unity and commitment. 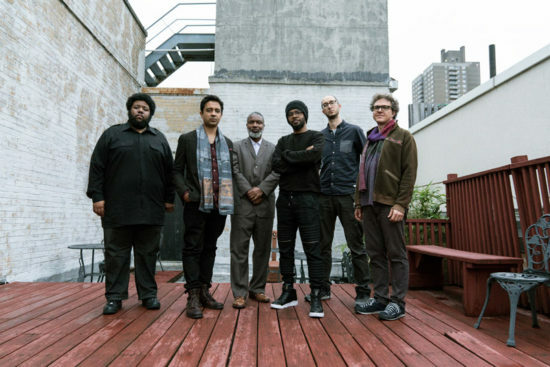 Iyer has history with all these musicians, but the sextet sounds fresh, raw and brash. Iyer’s pieces provide intellectual infrastructure, upon which his players unleash (to borrow a Trump phrase) fire and fury. The title track is a charging anthem that provokes vehement trade-offs among the horns and Iyer. Shim, commingling with others, as on “Nope” and “Into Action,” or by himself, as on “Poles,” is a major reason for the visceral impact of this album. His solos are onslaughts and strivings. They rasp as if they were ripped out of him. They teeter on the knife edge of our troubled times. Sorey, a unique voice in jazz, creates intriguing spontaneous compositions within Iyer’s forms, and does it on drums. It is fitting that an album that often rages closes with “Threnody,” which deepens the narrative, sometimes in quietude. Iyer opens by piecing out a haunting, tentative melody that climbs and pauses and searches again. Lehman enters like a second line of thought, perhaps a meditation on all that has been lost. Like everything Lehman plays, it is not assembled by conventional means but in fragments and gestures that aggregate to their own vivid logic. His utterances intensify into held cries. Then the others enter and “Threnody” implodes in chaos, Iyer raining discords. But when the horns subside Iyer too relents and ends the album with a cycle of soft notes. They recur because they must not fall silent until their emotion is no longer tentative. Their beautiful quiet insistence holds out the possibility of future hope. 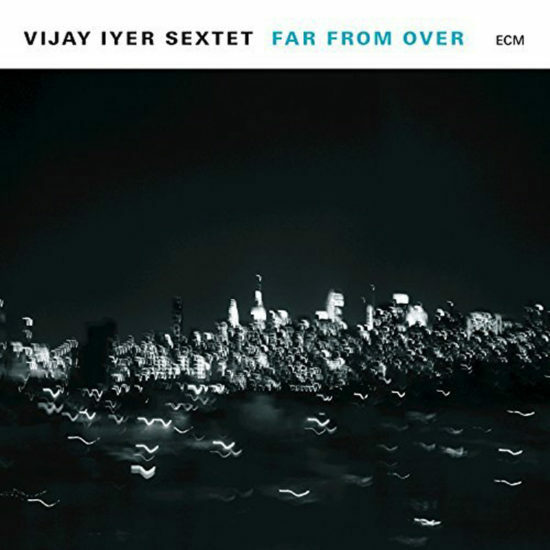 Preview, buy or download songs from the album Far From Over by the Vijay Iyer Sextet on iTunes.